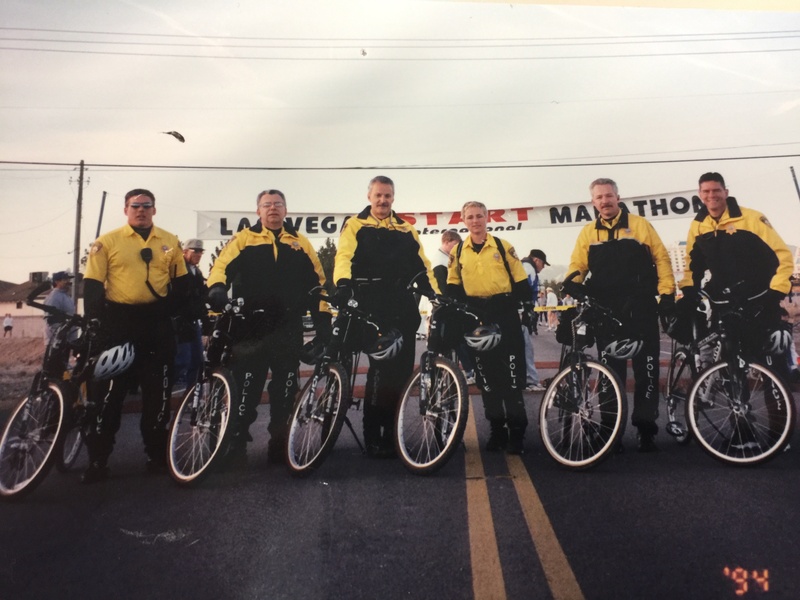 Last year, the events team at the Las Vegas Metropolitan Police Department worked on over 3600 events and they're are on target to hit 4000 this year (WTF! That's 11 events a day.). We're talking anything from a two-officer filming, to a UFC fight, to the Electric Daisy Carnival (400K people over 3 days), to the NBA All-Star Game, to the upcoming Presidential Debate. 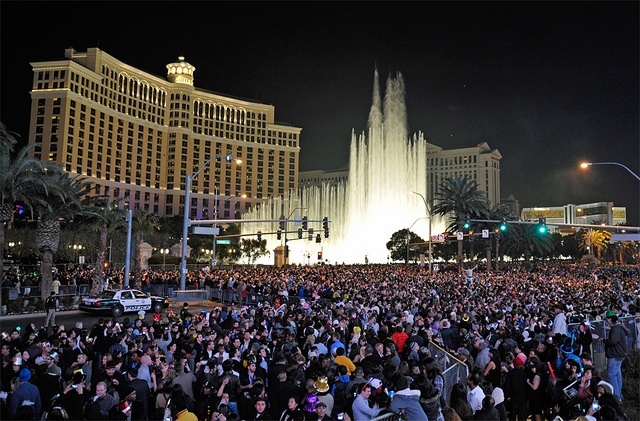 So when you and your production team roll through Vegas, or you're just making a few bad life decisions with 350,000 other people during New Year's Eve on The Strip, you go through Officer Rick Nogues and his team. 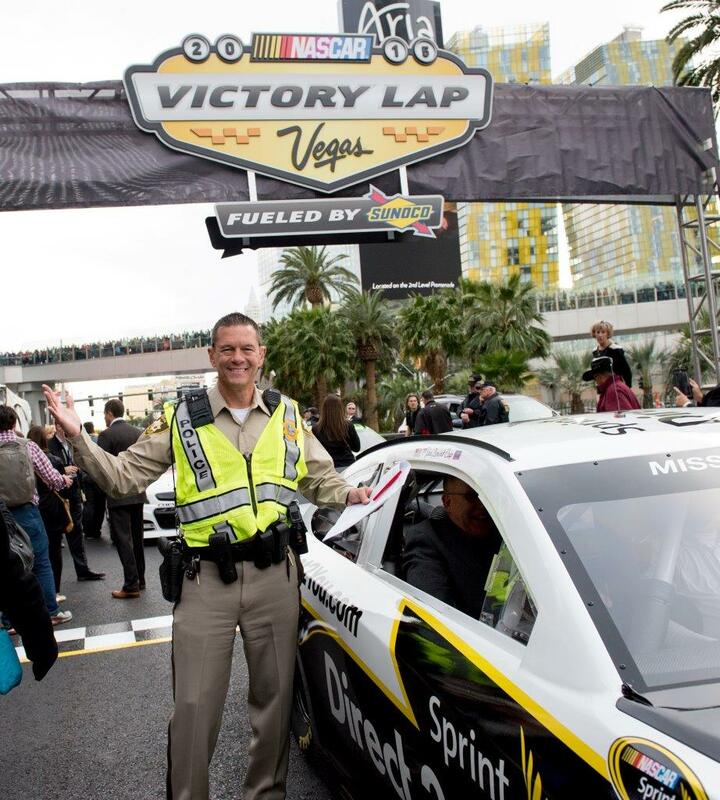 Rick and the LVMPD Events Division is one of the top in the world for a number of reasons. They take pride in their work and the impact they have on each event, on the attendees and on their city. 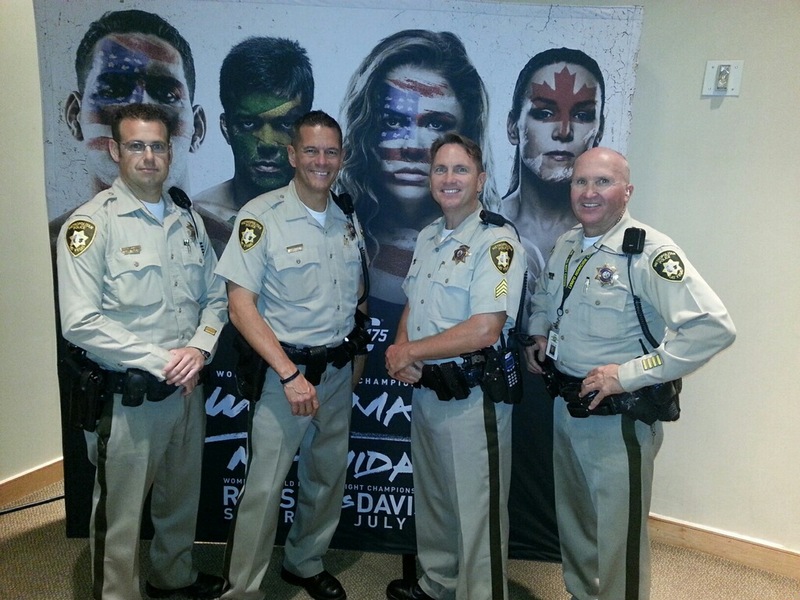 ONE: What a major agency like LVMPD goes through in planning for an event. TWO: Advice they would have for working with local agencies. THREE: How technology is going to change the game for event policing and planning. And of course, some other incredible life and career advice. Bottom-line: You might want to get your notepad out for this one. You ready to jump in Rick? Of course. Let’s do it. I love it man, thanks for inviting me. I was born in Tampa, Florida. We did a lot of moving around the country, but wound up in Las Vegas. Mom, dad, 2 brothers and 2 younger sisters. I'm the oldest. 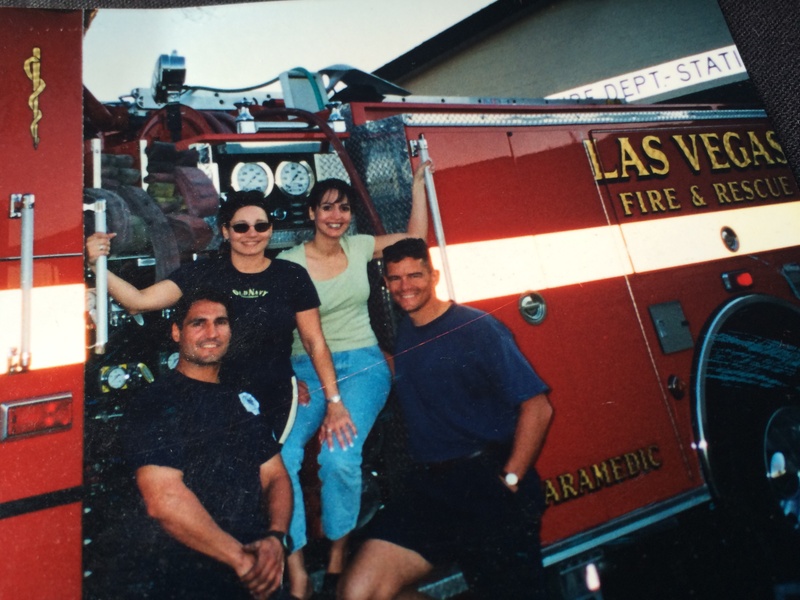 My brother's actually a firefighter here in Las Vegas. So I have some really important and serious questions to get off my chest. I know it may be hard to answer but I appreciate your honesty. Super Troopers or Beverly Hills Cop? Haha, don’t know if I really ever thought about it, but it’d probably be my small black lab Charlene. When I have time alone at home, she’s the one that reminds me to relax and breathe! 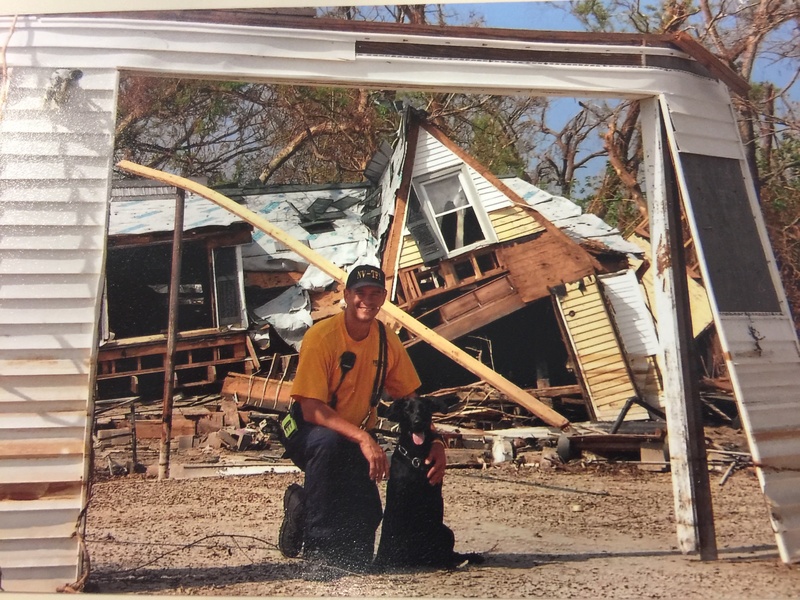 Rick and his initial side kick and search dog Jack down in New Orleans after Katrina. Oh wow! Focused, funny, great friend, honest, a good dad. So how did you get started in events? The dressing room for our baseball team in college was inside the USF Sun Dome and one night they were hosting a big Metallica show. Our locker room door flies open and this tour guy was like, "Does anybody want to work security?" So they put a yellow shirt on me and I went out in the crowd and the rest is history man. I fell in love. I just thought it was the greatest thing in the world to see people smiling and enjoying the experience and that I could be a part of that. That was 1988 or 89 and I never looked back. And now you’re a police officer working with some of the largest events in the world. Yeah, it’s pretty incredible. I really love what I do and who I do it with. So, if you weren't a police officer, what would you be doing? Man I'd love to be a professional athlete. 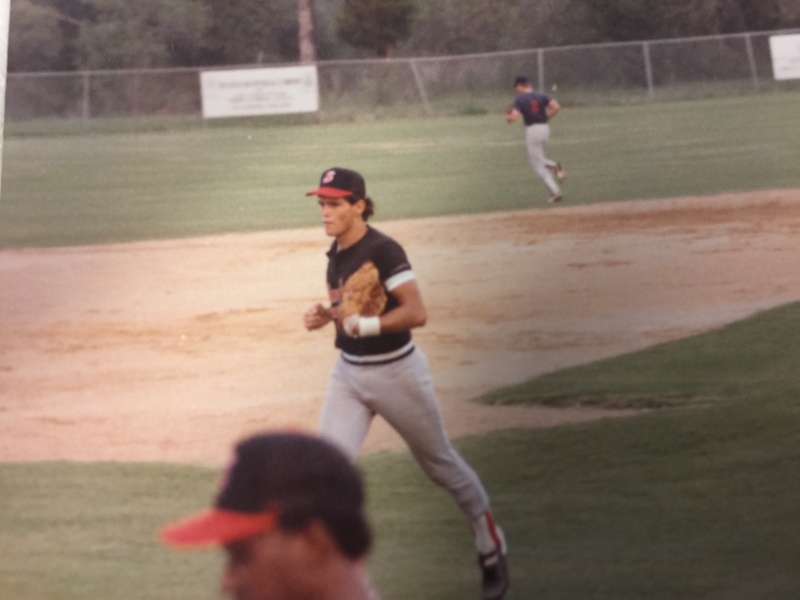 I love baseball, I wanted to play so bad but I also wanted to be a role model through playing. 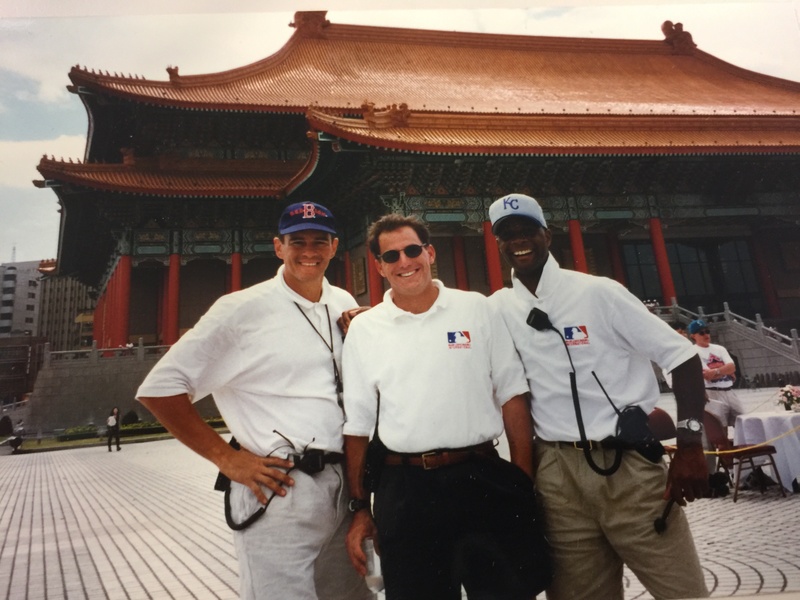 The uniform really attracted me to make a difference in people's lives beyond what happened on the field. I saw teammates chasing that dream for years and years. Ironically, I am just in a different uniform, yet still making the positive difference I always envisioned. Why are events so important to the City and your Department? 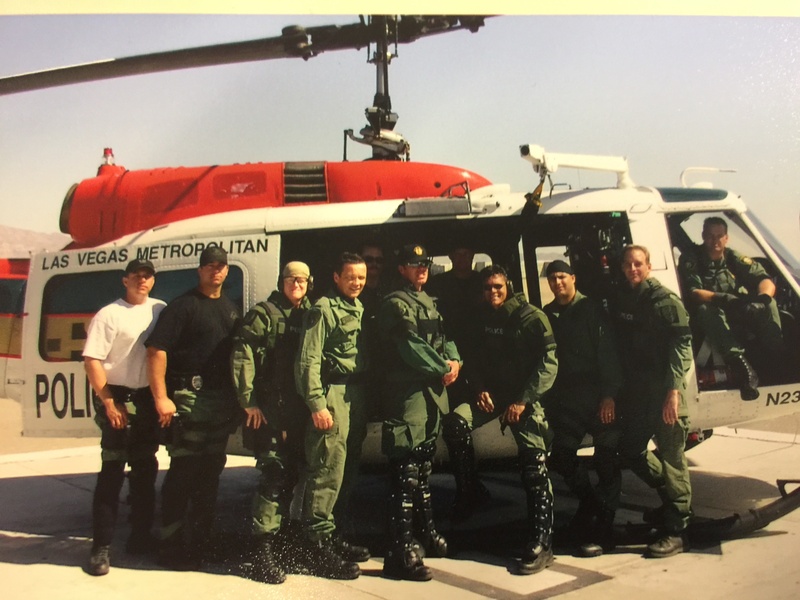 The Las Vegas Metropolitan Police Department, is one of the top agencies in the country and just on the police side, we really try to be attentive to the community's needs. It funnels down to us as a section within the police department to doing what we do. We want to hear what you need, what you want, what's your vision and how can we make it work. I think a lot of agencies may be a little bit more close minded like, "Oh no, we can't do that.". Right from the beginning we want it to work, we want you to come back. We want you to come and do another filming or put on another massive event in our town. That's our mindset. LVPD directing traffic into EDC. 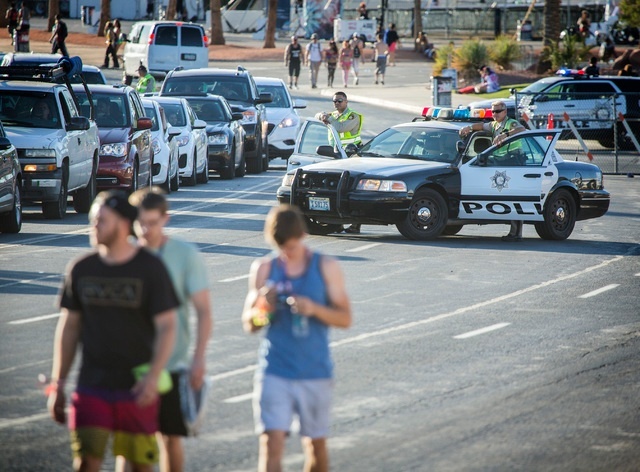 Event Security Tip #2: A solid traffic plan can set the tone for a smooth event. If you had to develop an events division in another city’s police department, what are the first few things you would invest in? Relationships. I would try and find out who controls the pieces that matter the most. I would try to meet and grow that part because we get so much stuff done here because of the relationships. Whether it's a last second filming, a last second event, whatever it might be, we can get things done pretty fast here because we have very good relationships with everyone. When you're doing events, especially some of these big events, you have to make sure that everybody feels they're a part of it. The first thing I would do is find out who runs public works, who's the fire guy for special events, who's medical, who's the bus system, etc. That way when a vendor or an organizer comes in, it makes things much easier instead of just chasing things down. What are the top do's and dont's when a production company or a team is working with city officials for the first time? One thing that's super important with anything, is to be honest. Ultimately, if they are just honest we'll help them. Vegas is very good with trying to get people what they need, we get it. So be honest because it winds up kind of ruining the relationship and the integrity of what we're doing. Punctuality is also important. 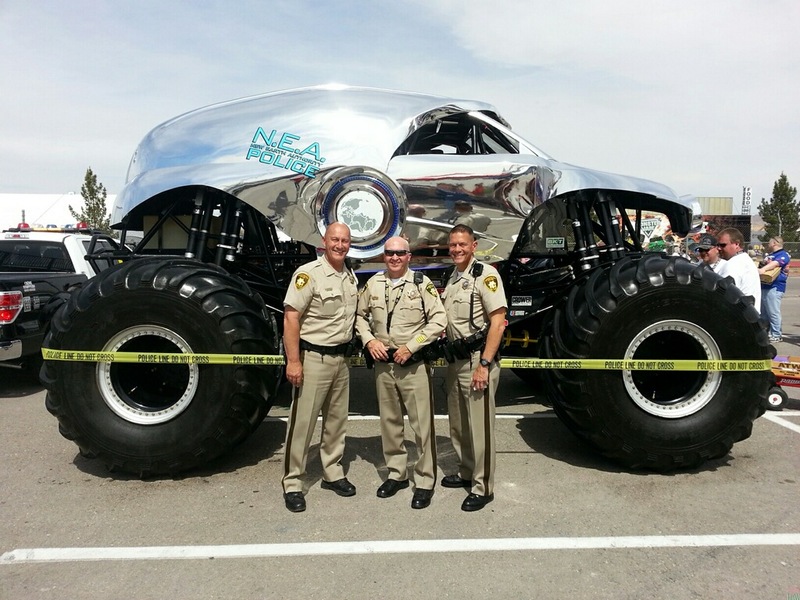 We have a lot of different groups that we work with that don't understand that we're very busy in Las Vegas, we staff several hundred officers every 7 days throughout the valley for different events and things. Of course in the event business things can change in a minute. Do you have any suggestions for promoters or producers who may have a hard time getting local police to support what they're trying to do? Really try and work on those relationships prior to needing something big or important. Take the time to explain how it benefits the community, how it financially helps and how the added positive awareness will help the city or county. I think most of the agencies I've worked with see that and understand that. It’s interesting because even though Las Vegas is built on the casinos and gambling, I've seen a transition over the last several years to events being really the central part of Las Vegas. They are bringing a lot more people to Las Vegas than the typical person that just comes to gamble. It's important that every agency truly understands the potential impact each event can have. How much do you collaborate with other cities and agencies outside of Las Vegas? A lot. We get calls from different agencies around the world just to ask us for direction, feedback, and after actions. We have a lot of those folks that come here to visit us. We actually had two different agencies shadow me during Electric Daisy Carnival this year. I took them around the property and showed them our Incident Command and our National Incident Management Systems. They had a real eye and earful when they came out, but I think it will help them when they do their events. What are some things you do when working with a less experienced department, agency or producer? We'll try to relate an event that we do to something that they are going to do. We show them what we've done, where we've failed, and where we've had success. I would take those parts and then try and get the agency to understand those pieces and see if I can't help guide them to get better, all the time explaining what we've done wrong because we're not perfect. We make a lot of mistakes just like anybody else but we learn from them. How does your planning process change from working on a major film to a major festival to a small to medium sized event? I think the biggest dynamic is just the amount of folks that are involved. For example, if I do a 5K or a two person filming out at the Valley of Fire, there may be a handful of people involved. Sometimes it may only be me and the producer or location manager talking about what we want to get out of it. 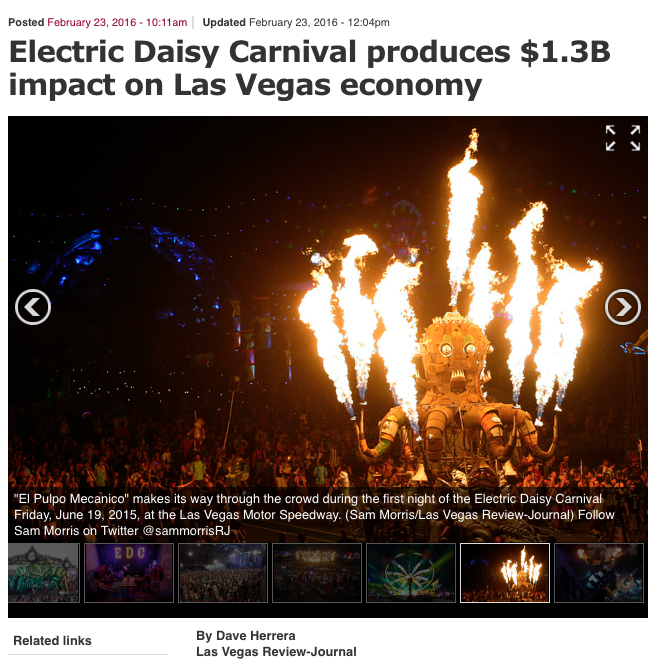 However, when we do something like the Electric Daisy Carnival, my planning team is 80 deep. We have mass meetings where we bring in everybody they all hear the same message. Then we create subgroups that tackle specific challenges for the overall event. When a new event pops up on your calendar, what are the first few things on your mind? It depends on the size and the dynamics of the production. but typically it's where's it going to be, what's the footprint. Since Las Vegas Boulevard is one of the busiest, most notable roads in the world. We have people that want to do a lot of things on The Strip and we have to be really creative because everything we do there creates some kind of traffic problem. So if it's on The Strip, my first thought is, how can we accommodate the request. There's a lot of little pieces to think about, but ultimately, I think the biggest thing for me is who do we bring on board? And then let's meet as soon as possible that way we can identify any general issues or problems. You've mentioned the "After Action Plans" you what are they and why are they helpful? The document itself is a 2-5 page document summarizing all the pre planning, the event, and the after event, good and bad. The after event will include stats, attendance, ejections, arrests, traffic accidents, DUI's, medical calls, medical transports, fatalities, etc. So when I reopen my planning for an event that's the first thing I pull out and then I go bullet point to bullet point and each is important to me. In re: to the process, we have everybody that was invited throughout planning and all the sub-groups and table tops are there. They're all invited so that there's never any reason for somebody to say, "Well I was never really part of that." It's really critical that every single person has a voice in the after action. It comes back to relationships and empowerment for everybody that's a part of the team. I think that really helps. Rick and the crew on copter duty. How do you think technology will impact your job over the next 5 years? I think one of the big things that I'm seeing is how the quality of cameras and digital views of things is getting even better. You could look into a crowd of 20,000 people and find somebody down on the ground near the barricade or way in the back half by the mixer. We also have a lot of concern about losing cell service. Can I actually communicate with somebody when I need to tell them about a problem? So just staying connected, no matter the scenario will be huge. What is the best piece of professional advice you've received and from whom? 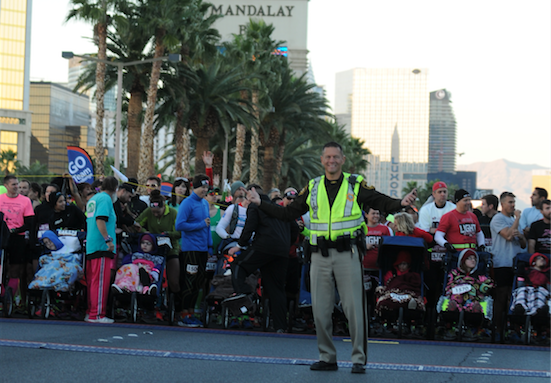 Rick manning the start of the Las Vegas Rock N' Roll Marathon. To be honest with you, right now it's kind of a weird time for policing. A lot of weird stuff going on around the country, around the world, and just the state of domestic and international security. Of course I have a family, I have kids. I get a little insecure about how much can we do, how much can we help. Well Rick, we need more folks like you and your team. You’re definitely a role model brother. Thanks Chris. I appreciate that. As far as planning, there's a little piece of me that's always a bit insecure in different areas. I think that allows me to listen and learn and get better. It's always so good to be able to get something else out of what we do and never think that we've got it all figured out. If you were giving a State of the Union address to the event world, what would be your top 3 topics that you'd talk about? #1 Plan early, make sure you bring in the right team, and empower your people. Listen to them. #2 Make sure you do the “After Actions”. Make sure you bring it all back together because you're going to get another event, something else is going to happen in a few months or at worst, you're going to have that same event next year. #3 Be ready to adjust. You can do all the planning you want but there's always going to be challenges. There are going to be things that are different than the way you pictured sitting in a conference room so be ready to adjust. Hah. One more thing. I'd love to give a little shout out to the Nogues family. Love you guys. 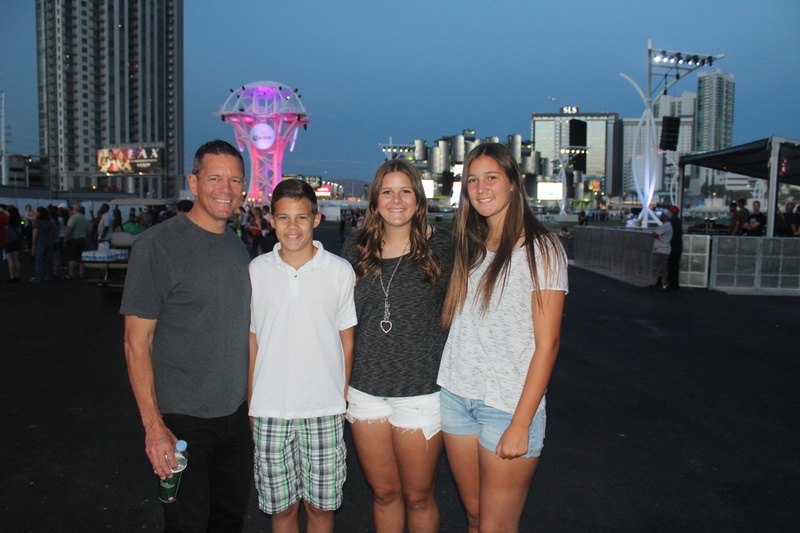 Rick and his son Ryan and daugthers Mackenzie and Jadyn.